Are you tired of your empty and boring concrete floor? If the answer is affirmative, you need to install the black and white twisted marble floor design. It’s an investment that will never disappoint you. Instead of wasting your resources on expensive carpets, you should install a floor that guarantees you timeless beauty. With the black and white twisted marble floor, you will be able to add a touch of life and excitement to even the most ordinary-looking spaces in your house. It also comes with a touch of elegance and class that will uplift your interior design and improve the value of your house. The time when we were made to believe that this type of floor was only meant for special places like the king’s palace is long gone; you too can use it to give your home a facelift. Given the important role that floors play in creating an all-encompassing interior design, you need to be careful with the kind of floor design you choose for your house. The black and white twisted marble floor design is meant to take the center stage, while pushing other decorations to the backdrop. When someone enters your house the first thing that will catch their attention is this amazing floor design. Everybody will be secretly admiring your taste and style. 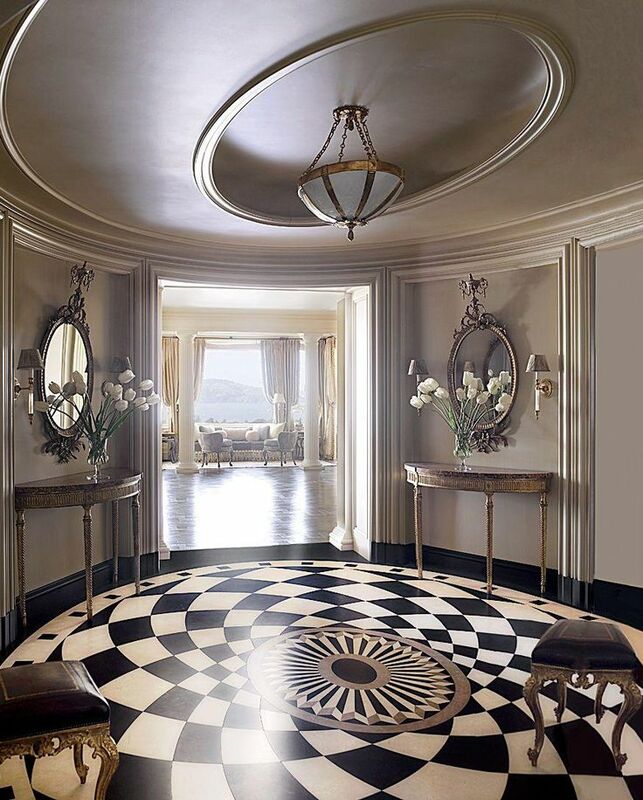 One thing that makes this black and white twisted marble floor design stand out is the stylish medallion in the midpoint. It is a complex piece of art that offers some complex patterns that will leave your guests tongue-tied. They won’t take their eyes off the floor as they try to understand the intricate nature of the entire floor design. What is even more interesting is the fact that this floor design can last through the ages. It is designed to last forever. An important question that many people ask is: Where can I use this black and white twisted marble floor design in my house. Well, the truth is; this floor design is ideal for a wide range of places. It can be used in the foyer, hallway, sitting room, dining room, kitchen, and bathroom. The fact that it is only made up of black and white colors makes it versatile and easy to work with. It also works harmoniously with other aesthetic elements in the house in order to give you the most satisfying results. It is a simple way to give your house a lasting facelift. Posted 3 years, 10 months ago at 9:37 am.